In theory, the Bitcoin Investment Trust (OTCMKTS:GBTC) offers a happy medium. No matter how you feel about bitcoin and cryptocurrencies, you can’t deny their presence. Since exploding into the mainstream consciousness last year, millions have jumped onto the bandwagon. That should help boost GBTC, but in reality, nothing is ever simple in the blockchain. Sure, everyone wants to enjoy wildly insane profitability. However, bitcoin remains a “wild west” asset class. For investors who have grown up with stocks and bonds, and whose idea of going crazy means options markets, bitcoin is the equivalent of dealing crack-cocaine. Thus, the GBTC should be a welcome investment. You get exposure to the cryptocurrencies without getting overly exposed. Still, GBTC meets significant resistance despite its traditional cred. An oft-repeated criticism is that the Bitcoin Investment Trust trades at a ridiculous 62% premium over bitcoin. At that point, why not just buy the cryptocurrency and call it a day? The naysaying has even more weight when you look at the Ethereum Classi/SH (OTCMKTS:ETCG). ETCG trades at over a 300% premium against each share’s net-asset value. Currently, ETCG also trades at a 223% premium over the actual ethereum classic cryptocurrency. Again, the question is, why? In late April, I offered my opinions as to why an investor would accept such a premium on GBTC. I focused on the most important aspect, which is protection. Log on to Alphabet Inc’s (NASDAQ:GOOG, NASDAQ:GOOGL) Google search engine, and you’ll find several bitcoin rags-to-riches tales. But for every one of those, you’ll find horror stories. Whether it’s people forgetting their passwords and having zero access to their funds, or unfortunate souls accidentally throwing away millions of “physical” bitcoin, these cautionary tales remind us that protection shouldn’t be overlooked. Indirectly speaking, GBTC is a form of life insurance. Laugh at me all you want. But barring unusual circumstances, you can typically bequeath your equity shares to loved ones as part of your estate planning. Assuming you have a last will and testament, and depending on your state’s estate laws, the process is straightforward. But die with bitcoin, and you can leave a painful mess. This was best illustrated in mid-April when banking heir Matthew Mellon died suddenly. The 54-year old was in Cancun, Mexico, intending to check in to a drug rehabilitation facility. Tragically, he never made it. What really made this story stand out, though, is that Mellon was an early ripple proponent. Marketed as the cryptocurrency for the bankers, he put in $2 million during its initial stage. When ripple went bonkers earlier this year, the position was worth over $1 billion. Having amassed such extraordinary wealth so quickly, Mellon understandably became paranoid. He bought an armored vehicle, got a security detail, and firmly established himself in the public eye. If anybody was going to attack him, they’d have to do it in front of witnesses. The problem was that in his paranoia, Mellon utilized complex safety protocols to protect his cryptocurrency portfolio. That’s great if he’s alive. But when he’s gone, it may be next to impossible for his heirs to recover the funds. If even a little bit of your crypto funds are diverted to GBTC, you can save your family heartache. As you’re reading this story, the temptation is to ignore this as a high-profile case. After all, how many of us are banking heirs or ride around in armored vehicles? These are fair points. However, you should also be aware that “zombie coins,” or cryptocurrencies that lay dormant seemingly indefinitely, have existed for years. Whether it’s through death or simply losing a password, these lost bitcoins are in financial purgatory. We see them in the blockchain, but they’ll never record a transaction again. That right there is a sobering thought. Hopefully, now you can better sympathize with why GBTC has substantial market demand. But the most important takeaway is that everyone reading this article will die. Where this certainty becomes unclear is the timing. It can happen tomorrow, or it can happen 50 years from now. But before this event, you can buy GBTC. Your family will thank you. As of this writing, Josh Enomoto is long the cryptocurrencies mentioned above. 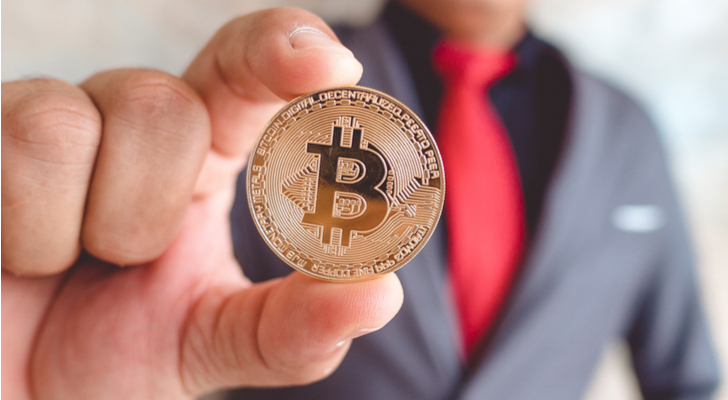 Article printed from InvestorPlace Media, https://investorplace.com/2018/06/how-the-bitcoin-investment-trust-is-a-life-or-death-play/.